Which type of kick should you use? A 2-beat kick, 4-beat kick or 6-beat? In this video, we’ll show you what type of kick pattern could help your speed and efficiency in freestyle. Welcome back to the Effortless Swimming YouTube channel. In today’s episode, we’re looking at a two-beat versus four-beat versus six-beat kick. In one of our recent videos, we’re looking at Andrew’s pool stroke, and Andrew is a 200-meter freestyle specialist, and Jorge Palma, one of our viewers, commented that looking at it from the side, it seems like he stops kicking in the breathing strokes like it’s not a continuous kick all the time. Is it actually happening or does it just seem like it? Andrew’s gone on and commented below where he says that for this swimming pace where he was swimming about 80% effort, he uses a four-beat kick, which is two kicks per stroke which causes a pause in the kicking. He says the main reason for the pause is because you use up the four kicks in trying to get a higher body position for the breath, and that leaves no more kicks for a brief amount of time, and it’s most efficient to do this pause just after the breath when breathing every two strokes, so just after you put your head back down. Let’s take a look at Andrew doing a four-beat kick. Now, when Andrew picks up the pace and he mentions in the comment, if I were going faster maybe under the 60-second per 100 mark, he’d employ a six-beat kick, which is three kicks per stroke in which there would be no pause, and that’s going to feel like a much more continuous kick. You can see him doing a six-beat kick in this video here. In this next video, we’ll look at Solomon right when he’s swinging at a very comfortable pace when he’s warming up. Here, he employs a two-beat kick, which is one kick per stroke. You’ll see that he does the kick in conjunction with the beginning of his catch, and that helps initiate his rotation to the other side. 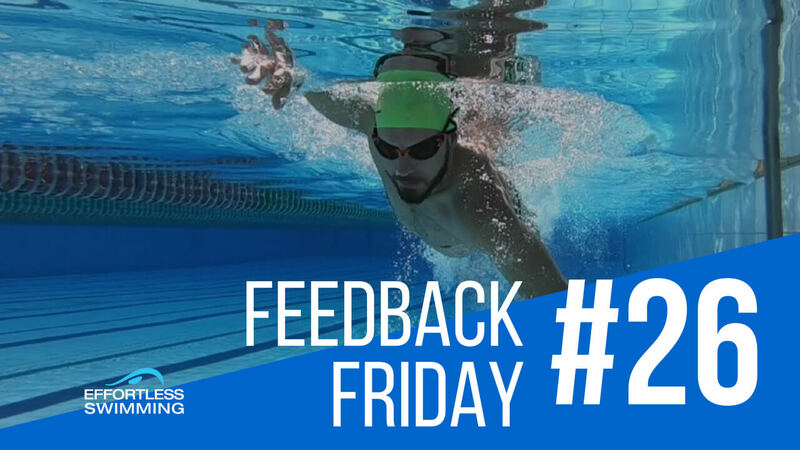 Once you have a look at these different ways to kick in freestyle, which one should you use as part of your own swimming? Well, I think it’s good to have a range of kicks that you can employ depending on what pace you’re going, how much effort you’re putting into it, and the conditions that you’re racing in. For myself, when I’m swimming open water at a very comfortable pace, it’s often a two-beat kick, sometimes a four-beat kick, and that’s because of the extra buoyancy in the open water in the ocean. We’ve got the saltwater, so I sit up a bit higher. I can hold a two-beat kick really comfortably but going into the pool, I find it a lot harder to do a two-beat kick, so I’ll normally have either a four or a six-beat kick. Being able to draw upon your skills and your experience and being able to use a two or four or a six-beat kick depending on what you’re doing in the water can be a really good way to make sure that you’re swimming in the most efficient way possible. Now, there’s also another thing that we will often look at, which is employing a crossover kick, and we’ve made a video on this in the past, and I’ll link to it in the bottom of this video as well. 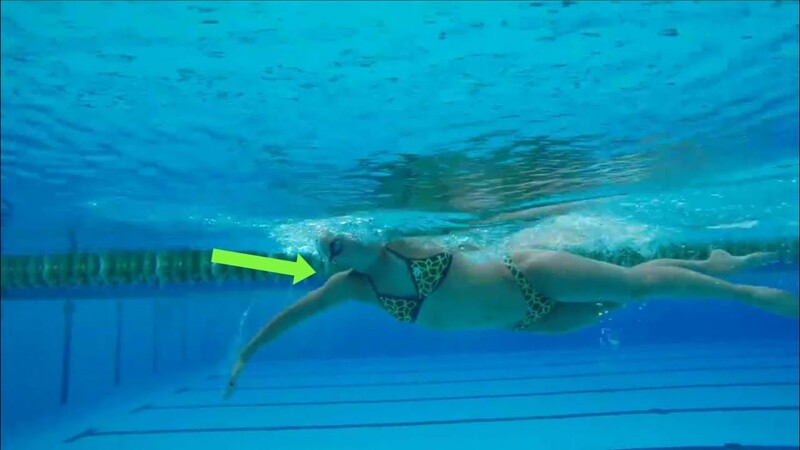 There’s also a crossover kick, which can be a really efficient way to swim particularly for longer distances. One of the things that I’ve been putting together over the last couple of months is the Effortless Swimming video membership. 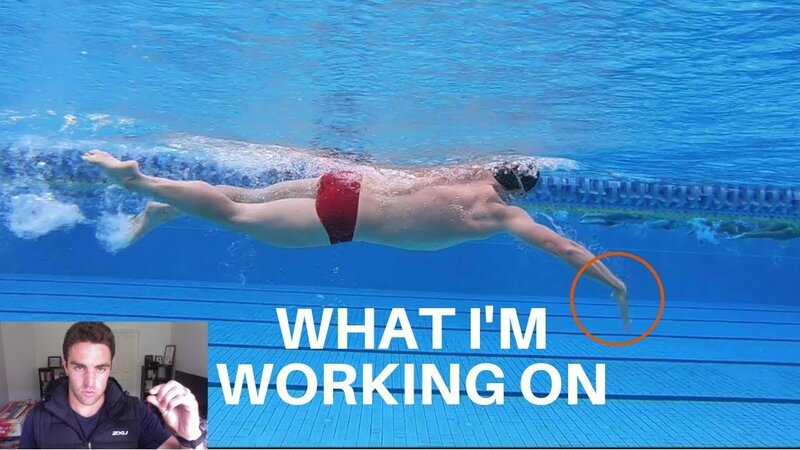 Now, if you’ve seen our videos in the past, you know I talk about the Effortless Swimming membership where people send in their videos for analysis and for coaching, and that’s out of the reach of a lot of people, so what I wanted to do is put all of our video courses and the ways that we go about improving and changing techniques so that you swim faster and you swim easier, I want to put all of that into one place where you can access it easily. It’s not very expensive. It’s going to be affordable for almost everyone, so in the next couple of weeks, I’ll provide some more details, and I’ll let you know when that’s available but that’s going to be a really good way to help you determine which kick you should do and how to go about making some changes in your kick because it’s not an easy thing to try and think about when you’re swimming. It does help to have a few different methods and ways to go about it. For example, with the four-beat kick, there’s a really simple cue that you can keep in your mind as you’re doing it. If you’re trying to go from a six-beat kick, if that’s what you currently do and you want to have a four-beat, think of it as a timing thing where you count one, two, three, four, one, two, three, four. That one is when you stop and pause with the legs while you’re gliding and reaching out in front. Then, you bring the kick back into it, so one, two, three, four. One, two, three, four, so simple things like that can help you make the changes in your stroke. We’re going to have a lot of those things inside this Effortless Swimming video membership, and I’ll release more details in the next couple of videos. Thanks for watching. Make sure you like and subscribe below. I appreciate all 160,000 of you who have subscribed to the channel and thank you very much for watching. See you next week. Previous: What’s The First Thing You Should Fix?